Duo is a gaming hardware and app that converts your iPad into a group digital gaming device sold in Apple stores and online. The packaging and branding convey fun and sophistication. 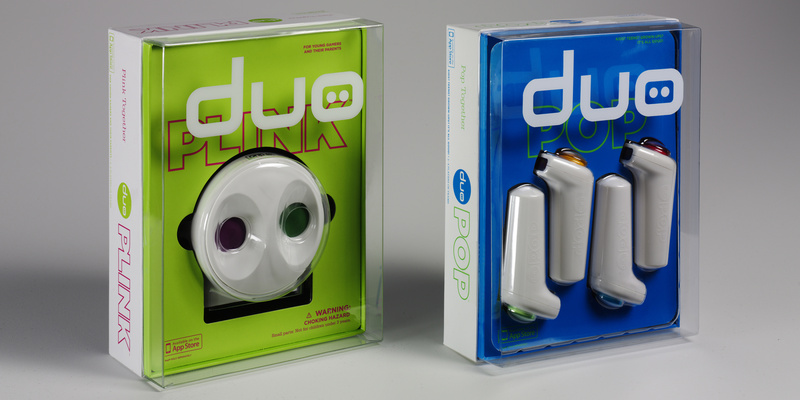 The devices are displayed on bright color backgrounds and the brand logo floats above them on a clear plastic case. 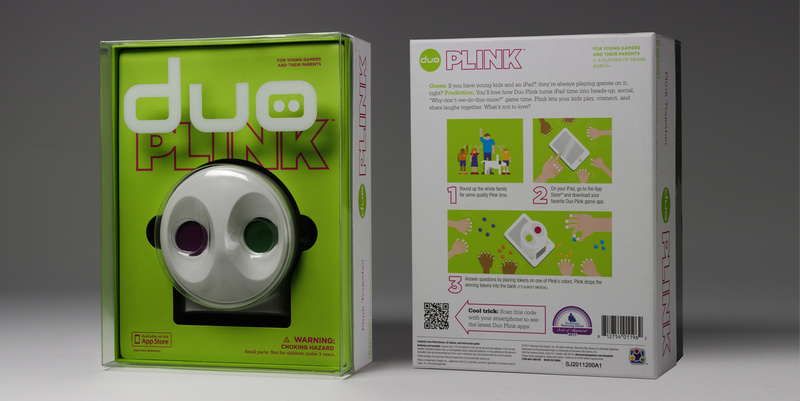 Our creative work included logo design, graphics and naming; Plink and Pop mimic the sound of game play. Whimsical instructions and illustrations convey the fun of gameplay.